Nail tech Bryan Nguyen Thien Vu demonstrated a bit of ingenuity when he commissioned a group of art students to paint a mural on the ceiling of his salon. 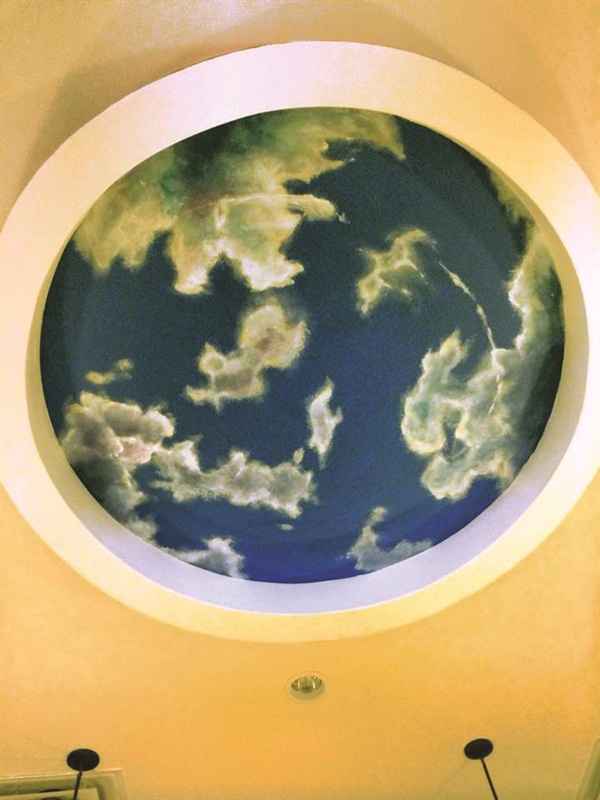 Nail tech Bryan Nguyen Thien Vu demonstrated a bit of ingenuity when he commissioned a group of art students to paint a mural on the ceiling of his salon, Venus Nails and Day Spa in Orlando, Fla. Vu, who is also an educator for Hand & Nail Harmony, paid them in trade, offering a free massage, facial, mani, or pedi service in exchange for their labor.